The San Diego Green Building Council is recognizing innovative and sustainable designed homes throughout San Diego County, all of which feature high performance green design and construction features. The tour includes sustainably remodeled residences, urban multifamily developments, luxurious custom homes, many of which have achieved or are seeking LEED Certification. USI was a partner on several of the homes, providing energy efficiency solutions. 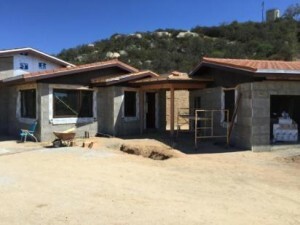 Kent Wilson, Commercial Estimator, and Anthony Pucci, Sales, USI of San Diego, worked to provide the insulation solutions to several of the homes on this tour. Wilson said, “USI contributed the insulation solutions to four out of the eight homes on the 2015 Green Home Tour and we’re all very proud of the work our USI installation teams did.” A few of the homes USI worked on include the Fazenda and Casa Aguila homes, profiled below. “Only eight houses in the San Diego area are being showcased on the 2015 Green Home Tour program, so it’s quite an honor to have such an impact and involvement,” said Pucci. During this tour, many people will be visiting the homes where builders, and representatives from USI, will be providing them with detailed information on the concepts, methods and materials used to build with sustainable solutions in mind. 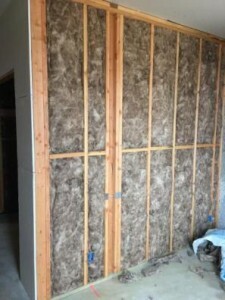 The amount of spray foam insulation that USI provided varied from project to project but the overall idea was to help form a tightly sealed home as well as achieve high R-Value. 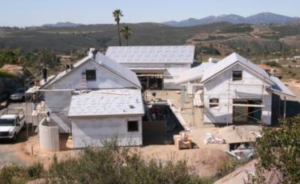 In the case of Casa Aguila, San Diego’s first certified Passive House, was to use the least amount of energy as possible. 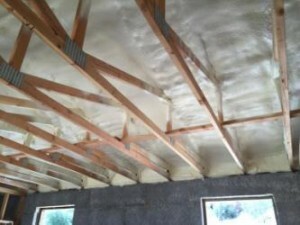 The spray foam insulation that USI installed was a large part of that. Very little heat gain or loss happens through the walls of this home as it is completely sealed and insulated from top to bottom without any gaps or breaks. The cost of doing this is higher up front but over the life of the home, it will pay off many times. 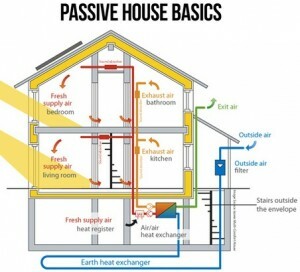 As of 2010 there were only about 13 passive homes in the USA. Net positive energy goal. Power generation through PV and Wind turbine. 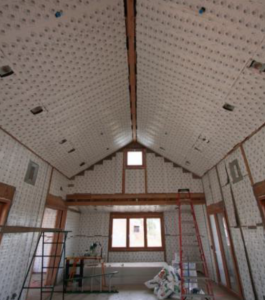 ← What are the recommended insulation levels for a cold climate?